China (mainland) Guangdong Shenzhen,Rm703.705, Dingxing Building, Liuxian Avenue 2014, XiLi Town, Nanshan District, Shenzhen, China. 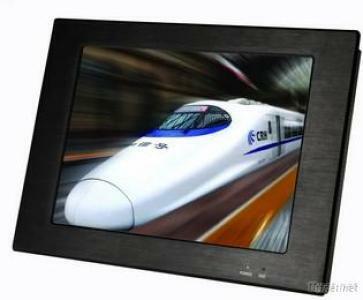 ·17" Industrail Panel PC(PPC-1700)High brightness 17 "TFT LCD integrates with the latest low-power motherboard. ·Built-in ultra-thin notebook hard drive installation method is compatible with panel type, wall mount and VESA standard support arm to support AT / ATX dual power mode. ·It can extend CF card, and the resistive Touch screen is optional. ·17" Industrail Panel PC(PPC-1700)Can be widely used in the communications and control terminal of the telecommunications, electricity, multimedia, defense, medical, industrial automation equipment, manufacturing and other fields . Operating system Support Windows, NT, UNIX, LINUX, NOVELL, DOS, etc. Impact 10G peak-peak acceleration,the duration is 15ms in the X,Y,Z. memory 1GB, up to 2Gb.